Immune stimulants—also called immunostimulants—help the body to resist illness after being exposed to a pathogen and during the initial stages of an infection. Immunostimulants work through augmenting our bodies’ innate antimicrobial efforts, primarily through affecting white blood cell activity. Immunostimulating herbs have an immediate but short-lived effect, and thus need to be re-administered frequently to maintain their effectiveness. In my experience, higher doses of these herbs are often needed to treat infection. Remember, herbs are handy allies, but it’s all too easy to “prop ourselves up” with immune stimulants while we continue to neglect the care of our body, emotions, or spirit. If we consistently ignore the basics of good sleep, nutrition, hydration, and lifestyle, we have missed the point. See our in-depth article on Herbs for the Immune System for basic tips on staying healthy this winter. You’ll also find loads of essential information on the full spectrum of immune-boosting herbs, including immune tonics and herbal antimicrobials! Also, check out our articles on Immune Tonics and Herbal Antimicrobials. Please note that this article is introductory in scope and doesn’t fully cover each medicinal. If you plan to forage any of these herbs, you’ll need to seek out identification tips. You’ll also need to learn foraging ethics and guidance before you harvest any plant from the wild! There are deadly poisonous plants out there, so proper identification is paramount. 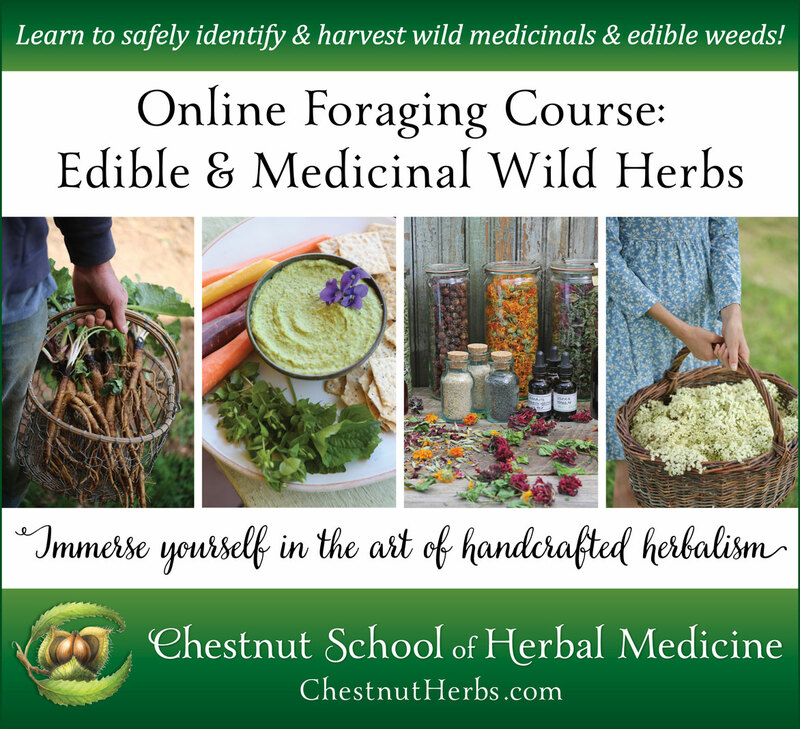 See our blog articles on Foraging and Wildcrafting for more guidance. Also, it’s important to realize that herbs aren’t always the only support you might need to combat infections. Antibiotics and conventional medical care have their place, especially with babies, young children, and elders, as well as in the case of serious infections. For a list of warning signs that indicate the need for medical care, please visit our comprehensive article on Herbs for the Immune System. If you have an autoimmune condition, please be aware that immune-stimulating herbs have a potential to increase autoimmunity, although this is more the exception than the rule. 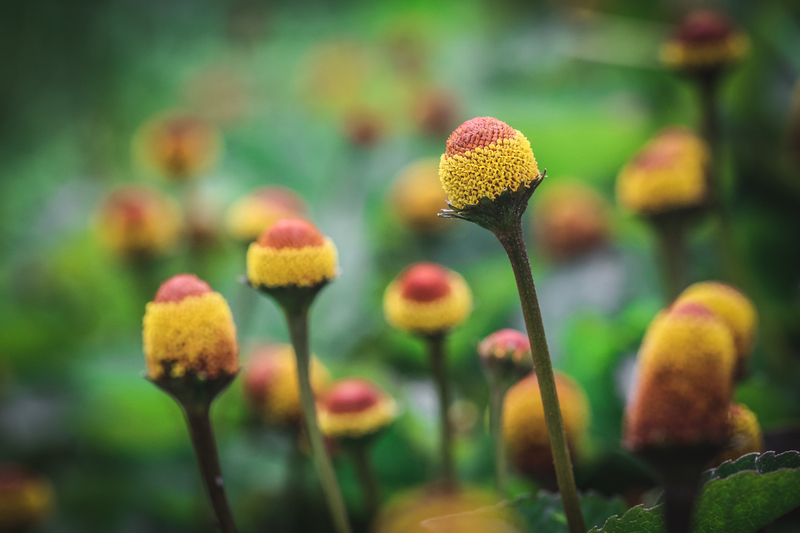 Spilanthes has been one of my top ten herbal allies for the past two decades—I became a devotee the first year I began growing it and using it for medicine. Its leaves and gumdrop-shaped flowers can be called upon for a wide spectrum of infectious illnesses; including colds, flu, sinus infections, and ear infections. Clinical studies demonstrate that spilanthes has strong effects against pathogenic bacteria. One of the most common ways I use spilanthes is to augment the body’s internal immune defenses. I typically combine it with other immune-stimulating herbs like echinacea (Echinacea purpurea) and honeysuckle (Lonicera japonica). At the first sign of an achy throat or the sniffles, I add spilanthes to homemade saline gargles and neti pot solutions, along with goldenseal (Hydrastis canadensis). Remember that higher doses—to the tune of 3 to 4 droppersful of the tincture every few hours for the first day or two—are often necessary to fight infection and avoid antibiotic use. If an infection does take hold, I add other antimicrobial herbs like usnea (Usnea spp. ), goldenseal (Hydrastis canadensis), and honeysuckle (Lonicera japonica) to the formula. Be forewarned that the tincture and fresh plant will set your mouth to drool! Spilanthes is a traditional toothache remedy because of its antimicrobial, numbing, and stimulating qualities. Along with the stimulation of blood to the gums, the herb will also prompt copious salivation. Precautions and Contraindications: Because spilanthes is in the aster family, it may cause a reaction in people who are highly sensitive to plants like ragweed and chamomile; this possibility is rare, but sensitive individuals should proceed with caution when taking spilanthes for the first time. Take care not to squirt the tincture on the back of your throat or chew too large a wad of spilanthes, as the throat may take offense and clamp down—not a fun exercise! The roots, seeds and fresh flowers of echinacea are all medicinal and make a tingly tasting, immune-stimulating tea or tincture. Echinacea can be used to fight any infection in the body, but is particularly effective against infections of the upper respiratory tract. I use it as a short-term remedy for warding off colds and flu. Studies show that echinacea is safe and effective against the common cold and that it is protective against lowered immunity due to stress. Herbalist Rosemary Gladstar reminds us that echinacea is both “preventative and curative.”1Unfortunately, many people stop taking it once they are sick, thinking it can’t help them anymore. However, echinacea stimulates many aspects of our immune system to fight infection more quickly and continues to be an important ally even once we become ill. I often combine it with spilanthes (Acmella oleracea) to round out its immunostimulating qualities. Echinacea is readily available anywhere herbal teas and tinctures are sold. Please only buy the cultivated root, as several echinacea species have been over-harvested from the wild. If you make your own medicines, I recommend using freshly harvested echinacea from the garden rather than dried, as I find the fresh preparations to be more potent. I like to combine the root tincture with the seed tincture in equal parts. Contraindications: Echinacea is not recommended for continuous use as a tonic during the cold and flu season. Instead, use immune tonics, like the ones outlined in this article. Use caution when ingesting the fresh juice or tincture, as it can irritate the throat to the point of decreased airflow. This appears to be idiosyncratic, but I have seen it a few times, so it warrants mentioning. Dilute the medicine and avoid letting it contact the back of the throat. Those with Asteraceae allergies may experience side effects; however, such reports are extremely rare. I use Japanese honeysuckle flowers to address hot, inflamed conditions like head colds and the flu, as well as a range of related infections—laryngitis, sinusitis, tonsillitis, pneumonia, bronchitis, croup, and whooping cough. The fresh blooms are powerfully antimicrobial, cooling, and anti-inflammatory—making them specific for malaise and feverish conditions. They are one of the most widely used medicinal herbs in the world, especially in China where the herb is extremely popular, both with trained herbalists and as an over-the-counter herbal medicine. Japanese honeysuckle’s popularity amongst western herbalists primarily comes from being inspired by traditional Chinese herbalists. For a scientific review of Japanese honeysuckle’s antimicrobial benefits, visit this link. Japanese honeysuckle is a common invasive plant here in North America, but you won’t find its medicine readily available in commerce except in establishments that sell Chinese medicine. Thus, you’ll likely need to harvest your own. The flowers can be gathered as buds and as opened blooms, and tinctured fresh in alcohol. In Chinese medicine, the buds are considered to be the most potent, but I find the buds and the freshly-opened flowers to be similar medicinally. Honeysuckle is also effective as a tea; I combine it with mint (Mentha spp.) and lemon balm (Melissa officinalis) to mask its slight bitterness. I would venture that most of you are intimately acquainted with the blooms of this memorable vine and have partaken of her nectar. All you sucklers will be happy to know that the familiar honeysuckle of your childhood is the very same potent medicinal we’re discussing here. Subsequently, we can’t make broad speculations about the medicinal qualities of the entire genus. We’re only talking about Japanese honeysuckle in this article—don’t extrapolate the information here to all honeysuckle species! You can’t free it up with the honeysuckles, no matter how fun that sounds! Japanese honeysuckle is native to eastern Asia. It has spread throughout much of the world and can now be found in South America, North America, Oceania, and Europe. In the United States, it is especially prolific in the Southeast, but can be found in almost every state, including Hawaii. Do not plant Japanese honeysuckle as it’s seriously invasive. Harvesting it for medicine is one way to slow its spread! Prickly ash may be less familiar to you than the other herbs featured in this article, yet it’s one of our finest lymphatic herbs, immune stimulants, and circulatory stimulants. When I was in college one of my botany professors pulled a prank on me in front of my classmates. He invited us to try some of the tree’s fruits, and being an adventurous fledgling herbalist, I gamely chewed on a handful. Immediately, my mouth became tingly and numb. I began drooling, bent over in an attractive spit-hunch to release the flood of saliva upon the ground. That experience was an unforgettable introduction into the profound physiological effect of alkamides, immune-stimulating and saliva-inducing compounds that are also shared by echinacea and spilanthes. This distinct mouth-numbing quality prompted yet another common name— toothache tree. Prickly ash’s yellow bark played prominently into the materia medica of Native Americans and subsequently the European settlers, due to its wide medicinal applications, including powerful antimicrobial qualities. The bark is colored yellow by a potent antimicrobial alkaloid, berberine, which is also found in goldenseal (Hydrastis canadensis), barberry (Berberis, multiple species) and Oregon grape root (Mahonia, multiple species). The tea and tincture of the bark are used in a similar fashion. Be warned that the tea is tingly and strong tasting. Many herbalists put a small amount of prickly ash in their herbal combinations as an adjuvant—an herb that directs, or orchestrates, the actions of the other herbs in a formula. Think: botanical rabble-rouser. Prickly ash bark is taken in small amounts tonically to move the lymphatic system, innervate the immune system and stimulate circulation. In larger amounts, it is used to treat varied acute digestive issues, and is especially helpful in treating transient, foodborne gastric infections. Toothache tree can be used to numb the gums in dental infections, and also offers antibacterial assistance. The bark can be used topically—chew on twigs or brush with the powder daily to improve gum health in periodontal disease. Toothache tree’s oral benefits stem from increased circulation and tightening loose gums, as well as its antimicrobial qualities. Various species in the Zanthoxylum genus produce spicy fruits called Szechuan pepper, a pungent spice used in Asian cuisine, notably Chinese five-spice powder. Many other species are used medicinally in India, China, Korea and Japan. Both Z. americanum and Z. clava-herculis are considered interchangeable medicinally. Contraindications: Prickly ash may affect anticoagulant therapy—this precaution is based on studies with animals using isolated constituents; the herb hasn’t been studied on humans in this capacity. Accordingly, proceed with caution if taking blood thinners. Prickly ash shouldn’t be used in pregnancy. Herbalist David Hoffman writes that: “Used daily, garlic aids and supports the body in ways that no other herb can match.”2Among its many gifts, garlic is one of our finest remedies for supporting immune health—it’s an essential staple in my kitchen as a potent immune stimulant and antimicrobial herb (it both kills pathogens and boosts immunity). It can be highly effective in preventing infections such as the common cold and flu, as well as combating pathogens if an illness takes hold. Clinical studies support the ancient folk wisdom that garlic does indeed activate the immune system. Pungent and warming, garlic helps to break up mucus in the body; it’s specifically beneficial for respiratory congestion. Raw garlic is the most effective preparation for avoiding and treating acute infections. Crush or chop a clove and allow it to “wilt” by leaving it alone on the cutting board for 10-15 minutes. Then add to honey, oil*, soup, vinegar, or tea. Garlic is metabolized via the bloodstream, so applying garlic oil to the bottoms of the feet is an effective way to get its medicine flowing through the body (an especially great application for kiddos!). Garlic doubles as an immune tonic, which means that it can be taken regularly to bolster the immune system over time. One clove per day, minced and added to food raw, is optimal. My favorite garlicky preparation is fire cider—a sweet and spicy tonic made with apple cider vinegar. I recommend trying our rich red recipe for Hibiscus Pomegranate Fire Cider. I like spooning it over salads, and always take a tablespoon or two when I feel a sore throat or runny nose coming on. Contraindications: Garlic can aggravate heartburn and gas, especially if ingested raw or in large quantities. It can also aggravate peptic ulcers. Coating garlic with olive oil or preparing it in an oil-based sauce helps minimize these effects. Avoid high doses of raw garlic one week before surgery due to its blood-thinning qualities. If taking blood thinners, consult a cardiologist before taking high doses of raw garlic. *Note that garlic preserved in oil can create a perfect breeding ground for botulism. Garlic-infused oil should be used fresh, or kept in the refrigerator and used within a few days. Gladstar R. Rosemary Gladstar’s Herbal Recipes for Vibrant Health: 175 Teas, Tonics, Oils, Salves, Tinctures, and Other Natural Remedies for the Entire Family. Storey Pub. ; 2008. Hoffmann D, FNIMH, AHG. Medical Herbalism: The Science and Practice of Herbal Medicine. Inner Traditions / Bear & Co; 2003. 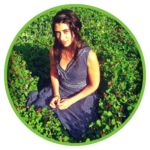 MEGHAN GEMMA is one of the Chestnut School’s primary instructors through her written lessons, and is the principal pollinator of the Chestnut School’s social media community – sharing herbal and wild foods wisdom from the flowery heart of the school to an ever-wider field of herbalists, gardeners, healers, and plant lovers. She has been in a steady relationship with the Chestnut School since 2010—as an intern and manager at the Chestnut Herb Nursery; as a plant-smitten student “back in the day” when the school’s programs were taught in the field; and later as a part the school’s woman-powered professional team. Meghan lives in the Ivy Creek watershed, just north of Asheville, NC.